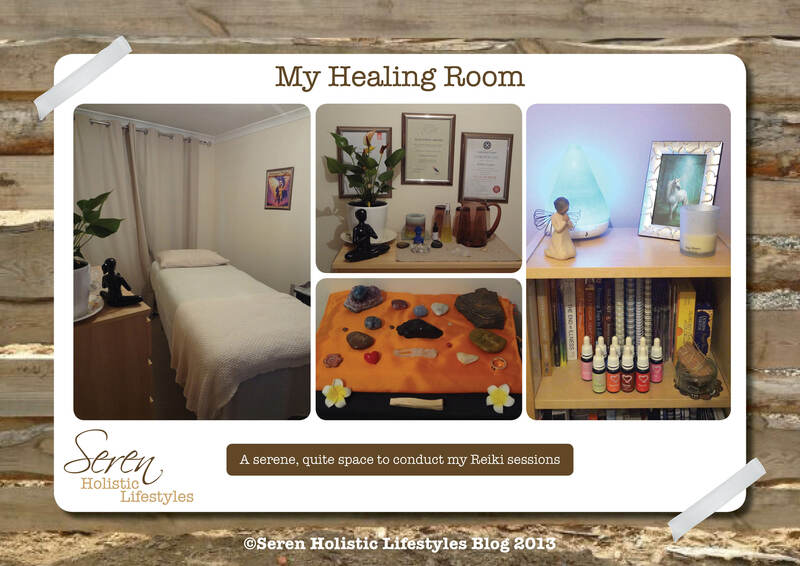 Ask me a year ago whether I’d have a fully functioning room dedicated to healing in my house, I probably would have said ‘err no, should I?’ How twelve months has changed me because yes I now have a healing room at my house. I’ve mentioned my room in passing on here a few times but now I feel it’s time to show you around. Let’s start with the back-story. I developed an interest in holistic healing methods a few years ago when I had my first kinesiology session. I was astounded what emotional blockages were brought to the surface in just one treatment. This session also introduced me to the power of crystal healing. Other healing modalities I have tried include Reiki, sound healing, chakra balancing and energetic healing with sound, colour & essential oils. My interest in becoming a healer myself was really spurred on after I completed the Advanced Mentoring Program with Elizabeth Peru. My eyes were wide open to working with energy in every day life & how we have the power to heal our bodies without the use of conventional toxic medications. I now devour anything written by Hay House Publishing and the really old spiritual texts to develop my understanding of the power of healing with energy. In January this year I took a weekend course for Reiki Level I. To be honest I didn’t really know what to expect being on the other side of the table. Everyone heals in different ways and has different gifts of communicating with the source energy. Reiki Level I taught me the hand placement technique for conducting a healing from which I can expand on with practice. I was truly blessed to have such a personal course with just one other student & myself. Our Reiki Master tailored our training to suit our levels of intuition that turned out to be more advanced than any of us realized. The universe brought us all together for a reason. The only way to progress ones abilities as a healer is to get out there & heal. The experience I gained from hands on practice taught me to trust in my abilities and the messages I receive. With Reiki Level I it is suggested you only practice on people you know until you are comfortable & ready for Level II. That is why my healing room was created. I needed a space to practice in. The spare room in my house had already been cleared out of the bed that was hardly ever used to make space for my painting easel & art gear. It seemed a logical area to use for healing as well. I bought a massage table that folded out & packed away neatly so I could bring it out when I had someone to work on. I rolled like this for a while. Packing away the table after every session and only bringing it out if I had someone booked in. This got quite tiresome. Yes it’s a ‘portable’ table but the room is not that big, sometimes it feels like a game of twister getting it up and down. Then making it up with the sheets, blankets and pillows. (Yes I went to town dressing my table too, I want my clients to be comfy!) I eventually left the table ‘up’ all the time. That’s when the light bulb went off. This room needed to be dedicated always to healing. I moved my painting equipment out to the lounge room, as it’s not a good idea to have your healing space smelling of solvents. It all then came together quickly. More furniture was shifted out and lovely new soft furnishings came in. All my metaphysical tools had a place within easy access. My crystals and alchemy oils are all at hand if I quickly need to grab them as directed. I have a friend who makes divine soy candles that make the room smell delicious and softly lit. Recently I invested in an oil diffuser that also changes colour. I’m slowly moving towards working with colours too as well as oils. My latest obsession is relaxation music. How dangerous is iTunes and Amazon, one click & instant mp3. It’s all-good though & helps ‘set the scene.’ My favourite right now is Angelic Reiki. It really does look & feel like a professional healing space now. My friends who come for Reiki always comment on the lovely energy the room has. Each time I conduct a healing in there the room is infused with even more beautiful energy. I get to enjoy the energy too. I often prepare for a session by meditating laying on the table myself. I do cleanse and clean before and after each session so any negatives are removed. I’m lucky not to have any close neighbours so I don’t have to worry about cleansing too far field either. Just like magic and in that great movie Field of Dreams, “build it and they will come” they sure did. Once I gave the spare room the identity it deserved and a purpose the ball started rolling. I haven’t had a weekend in over two months without a Reiki client. People are happy to travel out to see me for a session as I firmly set the intention they would come if I desired them too. This is a beautiful lesson of how to put your dreams into action. If you want something to happen for you, you need to put the wheels in motion & do it for yourself. Don’t sit back & wait for people to do it for you because that might never happen. Follow my lead. I went out and put action to an idea. Now I get to practice healing every week that is such a wonderful reward for everyone. Do you have a sacred space in your house dedicated to healing, hobbies or just relaxation? Please feel free to share in the comments below. It may come as a shock to some people but most of us spend more time in the office than we do at home, waking hours that is. This is very true for myself when I compare the hours ‘out of the house’ to the hours spent at home the former outweighs the latter. Not that I mind I like my jobs but spending so much time in the office week to week I felt the urge to create a nice space in which to spend all this time. A relaxed atmosphere is so much better for production. Dark, dingy cubicles can really make a person feel down. Offices don’t have to be sterile. We are all unique individuals, let’s pull some personal into our day and office environments. I have recently moved desks to sit alone area. Even more reason to bring a little me into the space as there is no one else to be offended by my personal touches. We do have a ‘clean desk’ policy which means clutter should be kept to a minimum. This is a very good idea as clutter on your desk is counter productive. Cluttered desk, cluttered mind. Widescreen monitors come in handy for that keeping my personal items invisible to anyone walking past. To make my desk more homely and balance the different energies bouncing around I have a number of personal items at hand. Firstly, my USB Himalayan Salt lamp which is perfect to have around computers and electrical items. Salt lamps reduce fatigue, improve concentration and balance electro magnetic pollution. They also bring in moisture to dry, air conditioned environments by ionizing the air. Crystals of course are a major feature on both my home and office desks. I always have a clear quartz point and my Rose Quartz Goddess on my desk. Others come and go depending on what I need at the time. This week my usual clear quartz is at home for cleansing so I have my smaller Atlantean core crystal and Tibetan Smoky quartz here. Greenery is important to me as well, bringing the outdoors in doors. With a lack of natural light where I sit some plants might get sad so I opted for a Bamboo. They are super hardy as well and don’t take much looking after. Placed on the far corner of my desk it deflects any negative energy that might come into the space before it hits me. Plants are brilliant at bringing in extra oxygen to a room. They can defuse harmful chemicals from printer toners and paints. Very handy for me as I’m in close proximity to the print room. I keep my colour therapy cards on my desk too. My chosen card for the day sits in front of me to infuse it’s healing energy. Some health & safety regulations may not like my next item. An oil burner. It sits in a safe place where it is in no danger of the candle being knocked over. I use soy wax melts with a gentle fragrance that uplifts the area. One day I will invest in a proper electric diffuser so I can use essential oils for extra holistic benefits. I used to burn incense sticks but that didn’t go down well with my colleagues, plus they are messy. Never leave candles burning unattended! A well-stocked itunes of relaxing music, meditations and some 90’s cheesy pop songs is a must. Noise cancelling ears phones are handy as well. Block out the rest of the office and drift away to whatever music you’re into. My job doesn’t require me to answer phones that often so I’m free to plug in and listen to music as I feel. Helps get the creative juices flowing too. Finally to combat tired, fatigued shoulders I have a lupin heat pack on hand. Two minutes in the microwave gives me an hour of heat pack action. Added bonus it makes me sit straighter or else it falls off! 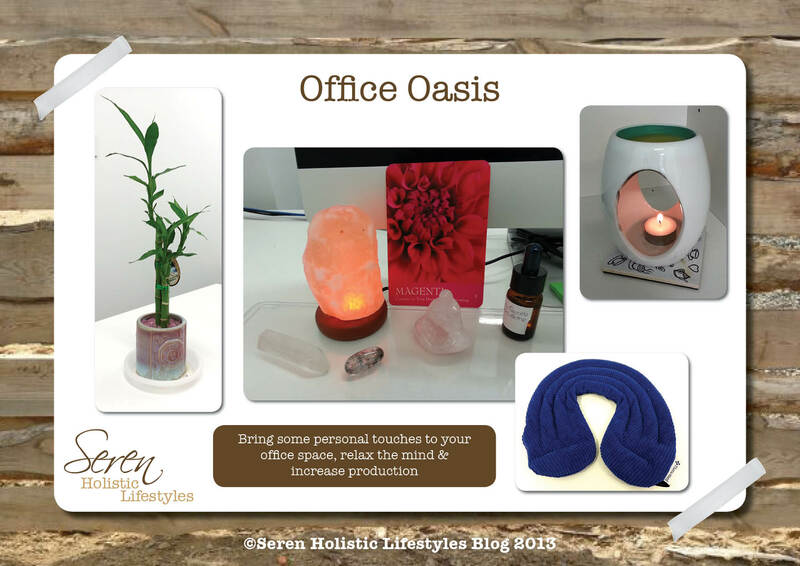 Is there anything you have in your office that brings a piece of ‘home’ or relaxation into your day? Share with us in the comments below. I’m very excited to introduce you too crystal of the week. Blue Apatite is a very positive crystal with multiple uses. I was attracted to it primarily for it’s association with the Throat Chakra to enhance communications. My part job as Bikram Yoga teacher requires me to pretty much talk non-stop for 90 minutes. Any help I can get in assisting the words to flow is greatly appreciated. My first piece of Blue Apatite I used to tuck into my pocket and carry around with me. This causes all sorts of problems especially when you forget it’s there and it falls out on the floor or worse, goes through the wash. Ideally Apatite should be worn against the skin, especially over the throat chakra to improve communications. Then I got the idea I should purchase a Blue Apatite pendant. I don’t usually like buying crystals online, I like to pick them up & feel if they are a good fit. Connect with them and let them choose me. You don’t know for sure how they have been mined either online. I tried the local crystal shops but nothing grabbed me so I hit up Etsy. I like supporting small business artisans and the pieces on there I felt were made with love, and not mass-produced in factories. I found it! The pendant I knew should be mine. It was set on a silver bail reminiscent of a Celtic knot with a neoprene cord. Perfect for the hot room, neoprene won’t go skanky when soaked in sweat. A stunning piece, had crafted by Charlotte Taylor. 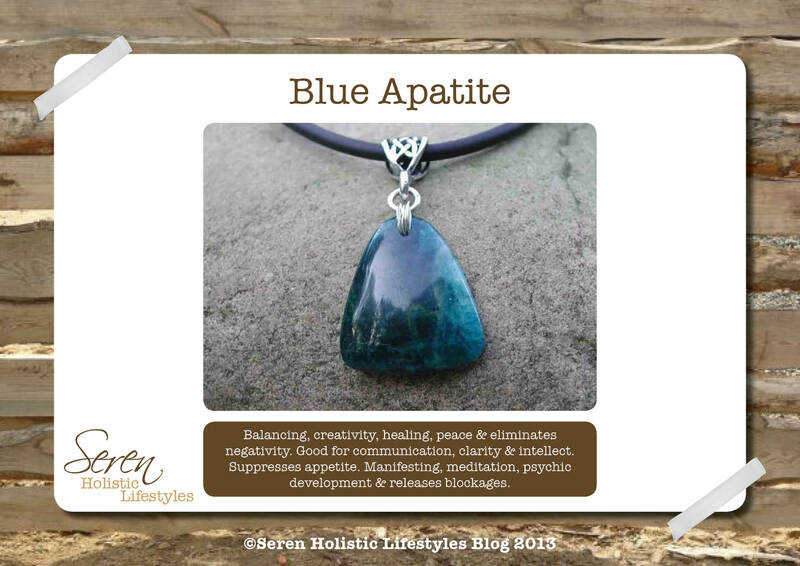 Blue Apatite isn’t just for communications it enhances creativity and awakens the inner self. If attuned to the third eye it can improve concentration. A good piece to have if you’re studying. 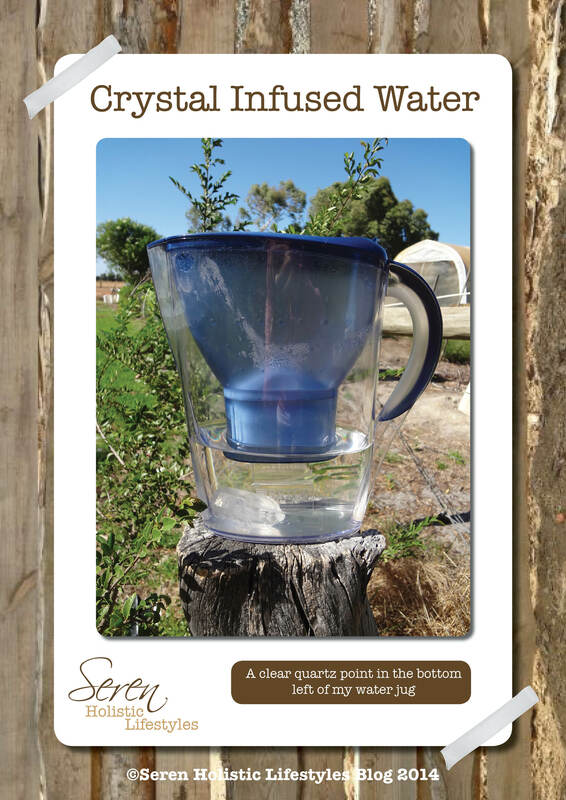 Another handy benefit, if made into an elixir (watch this space more on elixirs later in the series!) can help suppress hunger. I got rather attached to my Apatite. I think at one point I was wearing it a lot for teaching. Just like a security blanket. You never want to get too dependent on anything this can cause all sorts problems. My Apatite had a great way of letting me know this. When I was carrying out over the tile floor for it’s monthly cleanse, it slipped and fell. On the tiles. A small piece broke of one of the edges. I was gutted. Can you imagine if the whole pendant has smashed? It was telling me I’d become attached & I needed to let it breathe for a while. Now I rarely wear it to teach. I feel I have good balance between my third eye and throat chakras. I wear it whenever I feel drawn to it. It’s an awesome piece to draw creative inspiration that helps in my main day job. I make sure it is fully secure before travelling over the tiles! Spiritual: Manifesting, meditation, psychic development & releases blockages. It’s that time of the month again. Before all the men run for the hills I don’t mean the ‘girly’ kind of monthly cycle, I mean it’s Full Moon!! This can be an awesome time, full of super charged energy. I mentioned in the hydration post last week about our bodies being made up of water. The moon affects the oceans and tides so it is natural that the moon will have some sort of energy connection to the human body too. I personally can react to the moon in different ways. Some months I’m buzzing, literally bouncing off the ceilings. Others I’m flat, tired and scattered. Exciting hey, you’re in for a new treat every month. With Mercury having gone into Retrograde on the 23rd there’s lots of planetary influences about right now. It’s a great time to cleanse you crystals too. 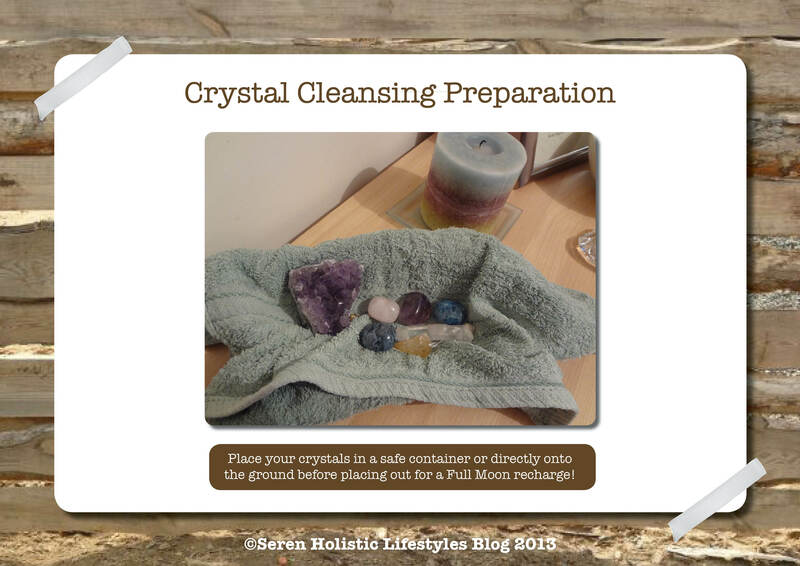 There are many ways to clean & cleanse your crystals. I like to use the Full Moon. Crystals absorb any kind of energy & just like us that energy gets trapped inside. That is why it’s a good idea to give them an energizing cleanse at least once a month. Cleansing them will release any stored up negative energy, whilst amplifying the positive energy. 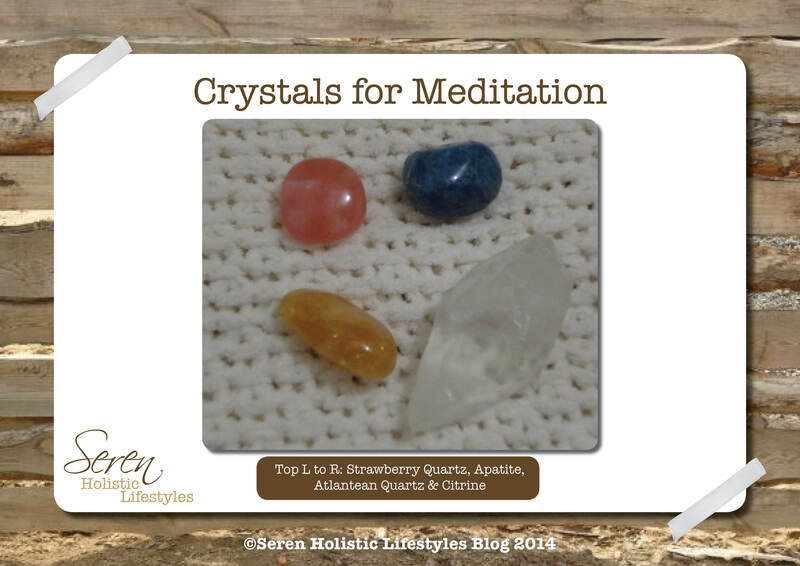 If you are using your crystals for healing work and meditation cleansing is a must. Also if other people have touched your crystals (I don’t let people handle my ‘special’ crystals ever) it’s a good idea to give them a clean. Some people like to use the day before or the day after the actual full moon to cleanse. It’s up to you. I collect mine up the morning after, as I don’t like to leave my crystals out in the full summer sun as this can fade their colours. Here’s what I do for a Full Moon crystal cleanse. Depending on which crystals I have been using I either select a few or put all of them out. I place a soft cloth in a sturdy container, like a ceramic dish, and place the crystals inside. You can use anything you have or simply place them directly on the ground. Place your crystals where they will be drenched in the moon’s light, so not under a veranda or shade cloth. I have a Buddha statue out the front of my house and I place my dish of crystals in front of him with an affirmation to assist in the cleansing process & to watch over them safely. 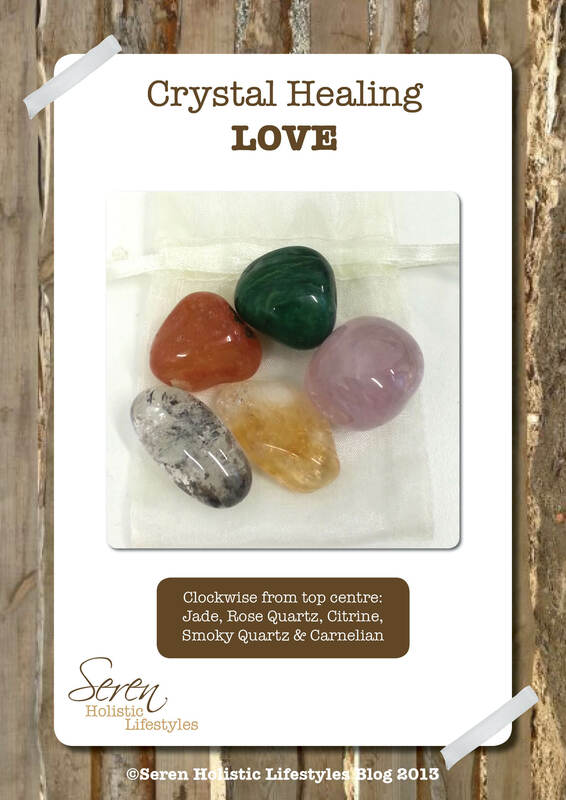 Welcome to the first in a series of Crystal Healing posts. I’ve only recently become interested in the metaphysical properties crystals possess. I now incorporate crystals into my daily life. Little did I know crystals have been around me a lot longer than I first thought? Isn’t that always the case? Something is right there under your nose but you don’t notice it until you’re ready? My first crystals appeared in my life about eleven years ago. I’d been living in London and working hard in my first real job so I decided I wished to treat myself to something nice. A friend of mine had this gorgeous ring from a silversmith based in the Portobello Road. I went along and loved her work. However I wanted something really special, not off the rack so I commissioned her to custom make a ring for me. I like chunky, solid rings. Silver, never gold which made that part of the design easy to figure out. At the time, and still is now, my favourite colour is purple. I wanted a purple stone ring. The silversmith tipped a tiny bag of purple gems onto her workbench and asked me to select two that I liked the most. That was my first encounter with Amethyst crystals. Crystal selection is a deeply personal, individual process. I believe crystals have the power to select their owner. It’s a partnership. Even when I give crystals as gifts I can go into the shop with the intention of one stone and come out with totally another. They have a way of communicating so you just know which is the right one. Mary Kunus perfectly describes how crystals are living things. Crystals are conductors of energy, both positive & negative. That is why they widely used in healing work. There I was, eleven years ago, selecting, or being selected, by my first Amethyst crystals. The final ring is amazing. I still have it today and I’m wearing it now as I write. It has travelled round the world with me, it moved to Australia with me, it’s been dirty, scratched and tucked away in a drawer. It even stayed in tacked when a twelve-year-old girl asked for a closer look then proceeded to put it in her mouth & try to get one of the stones that had come lose out with her teeth. (WTF I know!) Reminder – never let anyone touch your special crystals, their energy can pollute them!! It’s still here, in one piece, for me when I need it. 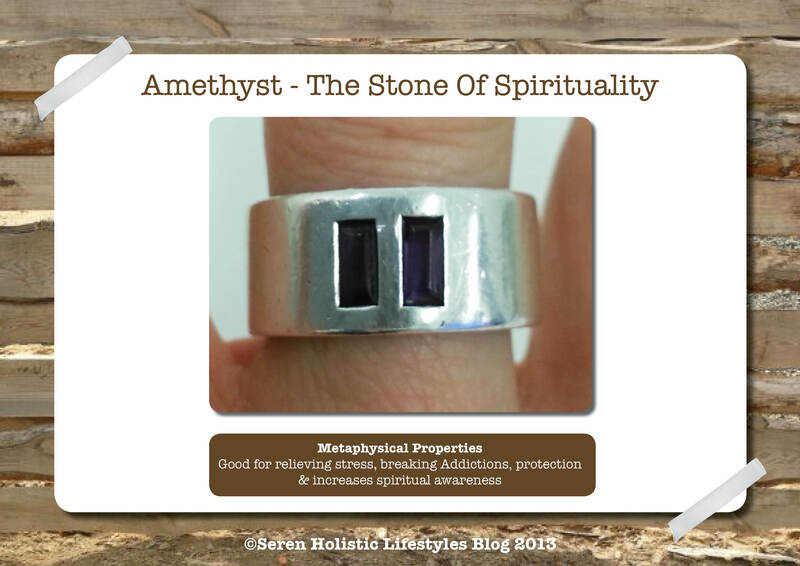 Amethyst is a great protection stone. I had no idea when I took it travelling with me that is was there to look over me & keep me safe, repelling more energy than it attracts. Now whenever I travel I make sure it is on my finger. Archangel: Zadkiel, Angel of forgiveness, mercy, tolerance and transmutation of negative energy. Metaphysical: Brings calmness and clarity to the mind especially in times of confusion and anxiety. Making it is very good for stress. Amethyst increases intuition helping one with spiritual, mystic and psychic work. It can help with addictive behaviour, especially alcohol abuse. Physical healing: Calms the nervous system, digestive tracts and the heart. Used for insomnia, headaches, hearing disorders, stomach, skin and teeth. Cleanses and purifies.